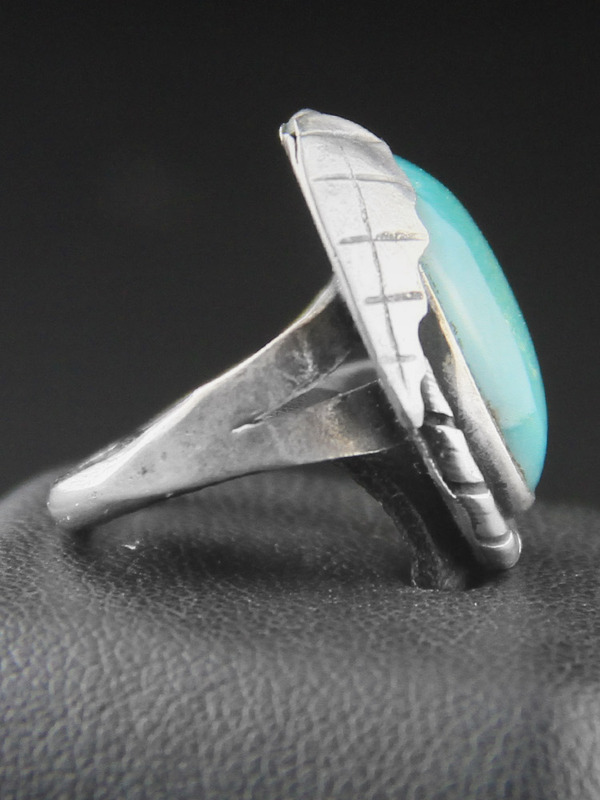 Lovely, smooth handcrafted vintage Native American turquoise ring. 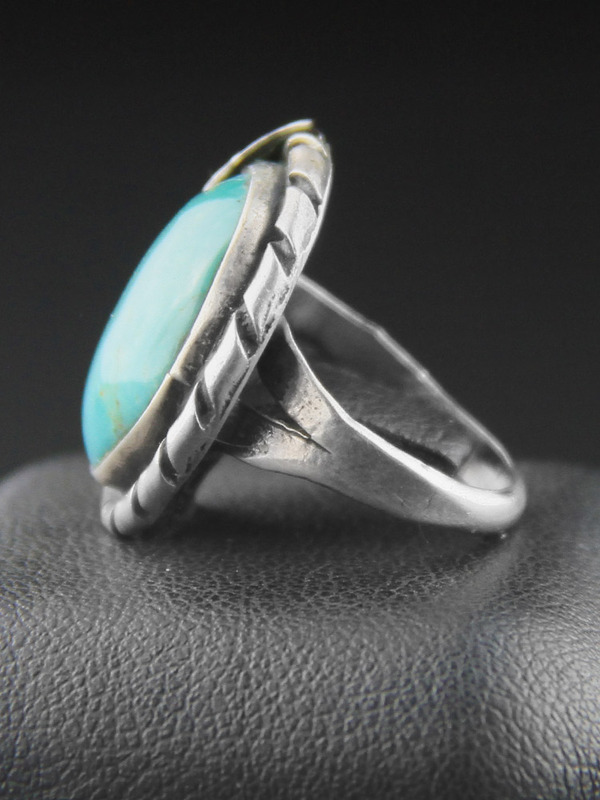 Native American, Navajo made circa 1980, this is a pretty sea green vintage turquoise ring, sterling silver, smooth bezel in ornate border and leaf design. 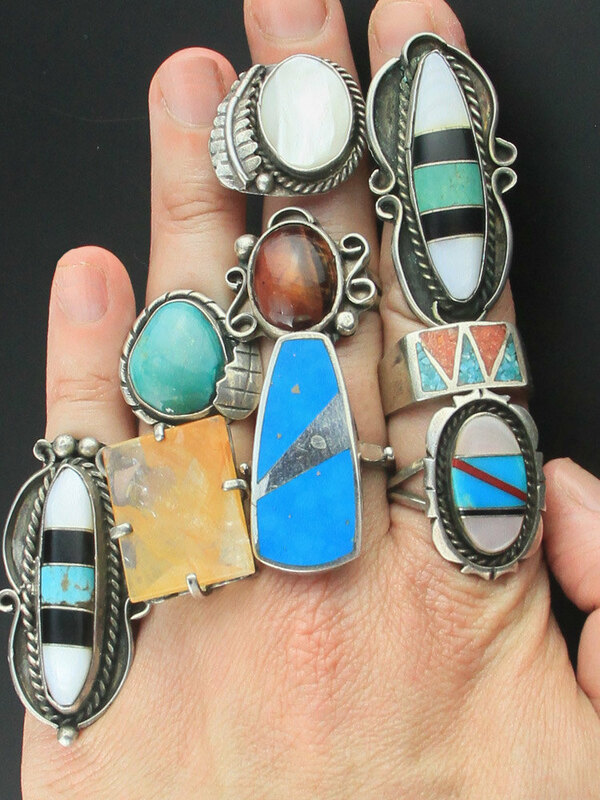 This is a lovely piece of Native American jewelry. 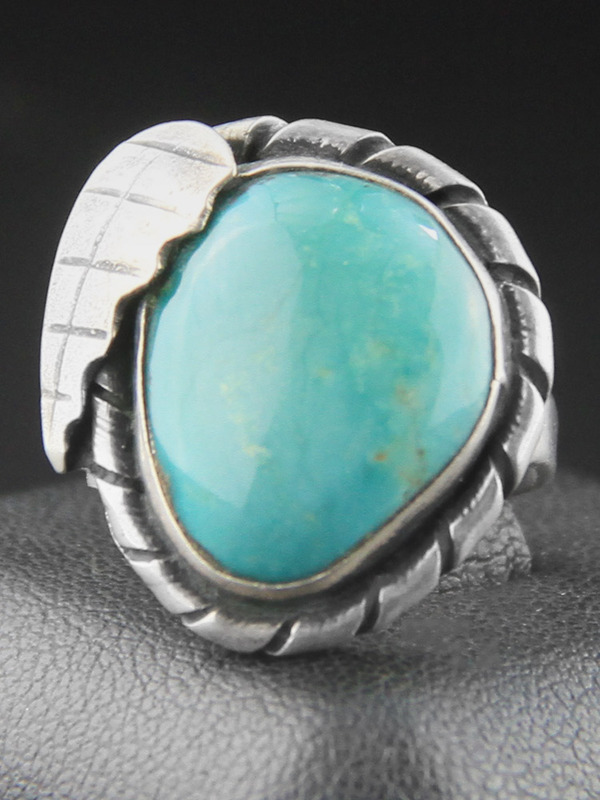 Turquoise is a mineral that occurs when water containing elements like copper and aluminium leach through rock. It's vivid blue-green colour is decided by the level of elements, more copper produces a greener colour, more zinc a yellower tone. 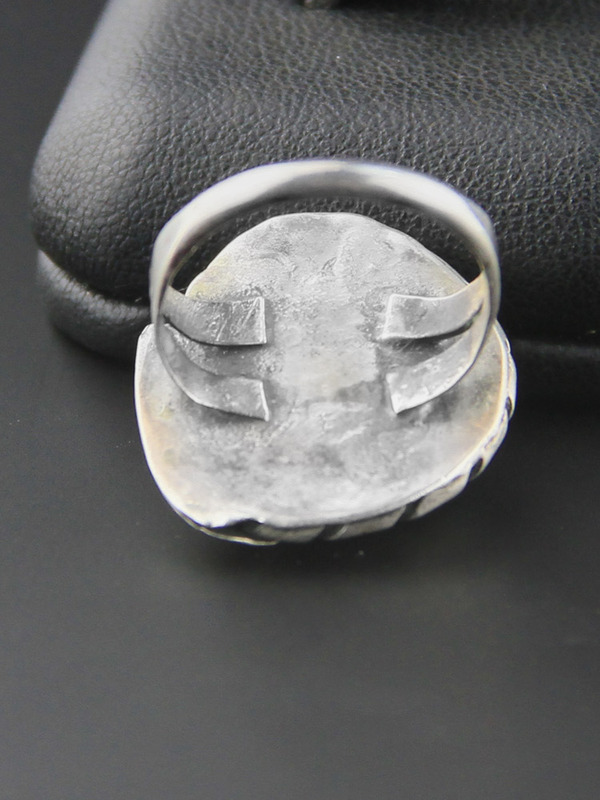 It is a porous stone so to keep it looking beautiful for a long time avoid temperature swings, chemicals, cosmetics, perfumes and ultrasonic cleaners.